Emily's Cupboard: Is it Just Me? I made a sewing pouch for all my hand piecing/EPP tools, so I can keep them together, this is a Lynette Anderson pattern, I changed the embroidery design to use some of her buttons that I have had for years; it's very useful and holds everything I need. 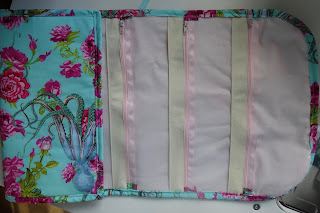 I also made a thread holder for all my appliqué threads and tools; I bought one about 20 years ago from Pat Campbell, but it had started to shred, so I copied the design and made it a bit bigger (room for more threads 😀) The clever part is the strip of Ultrasuede sewn to each pocket, you can thread your appliqué threads through it and then just pull off a length without opening the pocket. After a big and pattern-filled quilt I too feel at a loss as to what to stitch next. Both these quilts of yours have so much time invested in them. They both are amazing. 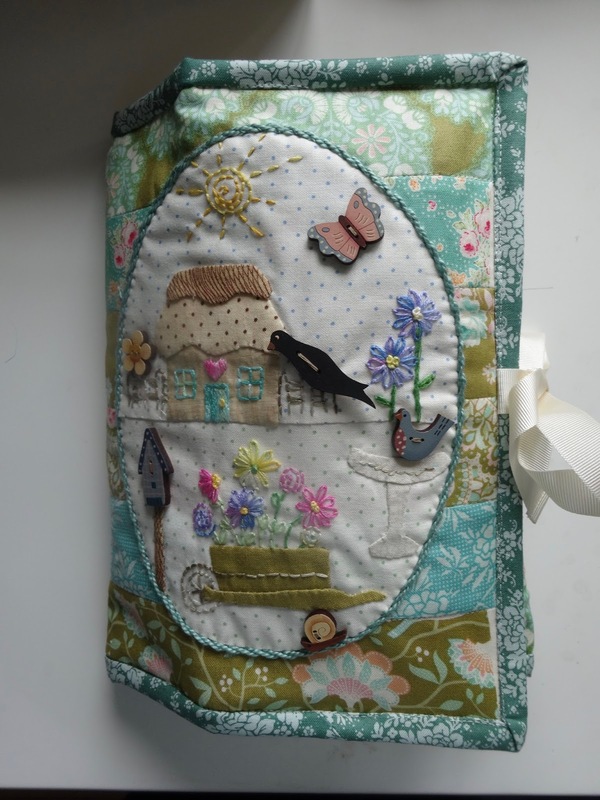 Your sewing pouch is lovely. Love the pretty detail you have stitched on the front. 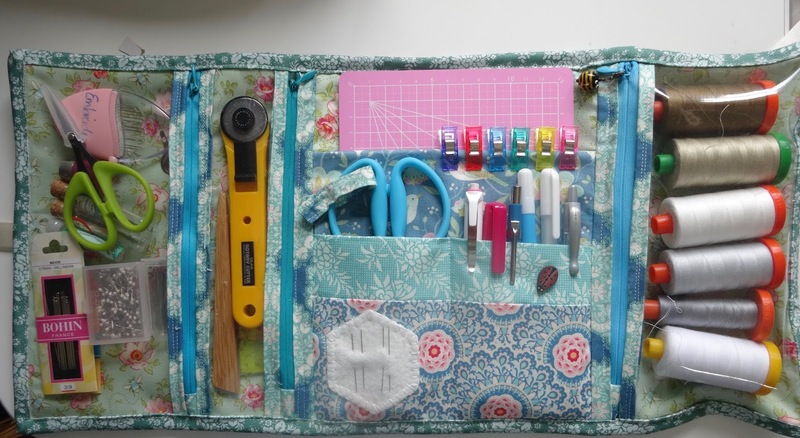 It is perfect for all the paraphernalia that goes with EPP. Yes! In every craft it's the same -- I finish a big project and then miss it like everything and am at a loss what to work on next. Always. 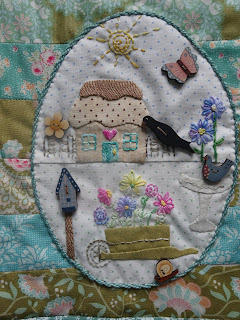 I'm looking forward to seeing your Down the Rabbit Hole all quilted. Your other quilt is looking fabulous! 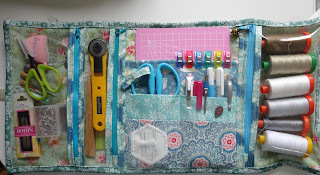 Love the bags you made for carrying your threads and tools in. Very clever and so pretty! I usually have so many quilts going that I do not have that feeling but back in my earlier days when I made just one quilt at a time I did. Now I have so many ideas running through my head I go crazy and I have 4-8 quilts going at once so I'm kind of glad when one quilt is finished so I can concentrate on more. 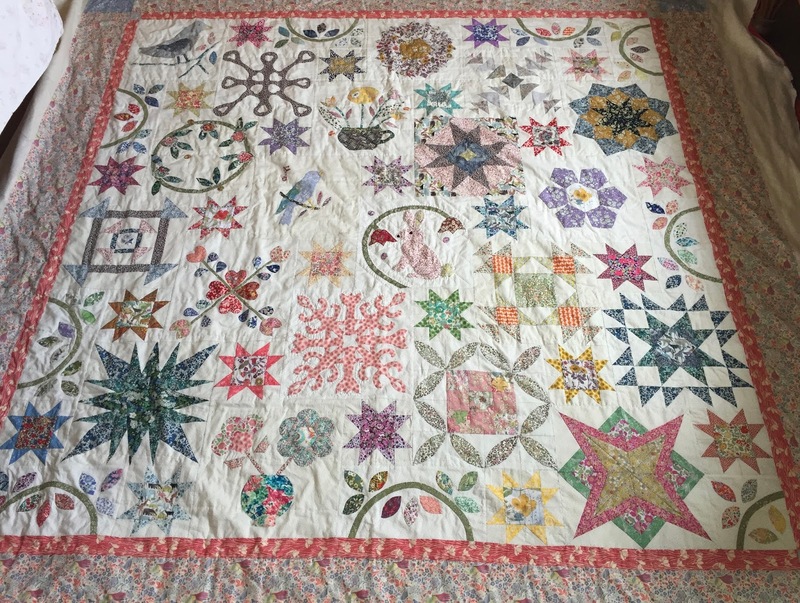 Believe it or not I wish I could get back to only working on a couple and more over the years have been being turned into wall hangings or small quilts as I tire of them and don't want them to be turned into queen size quilts. Your projects are incredible and tons of lovely work! 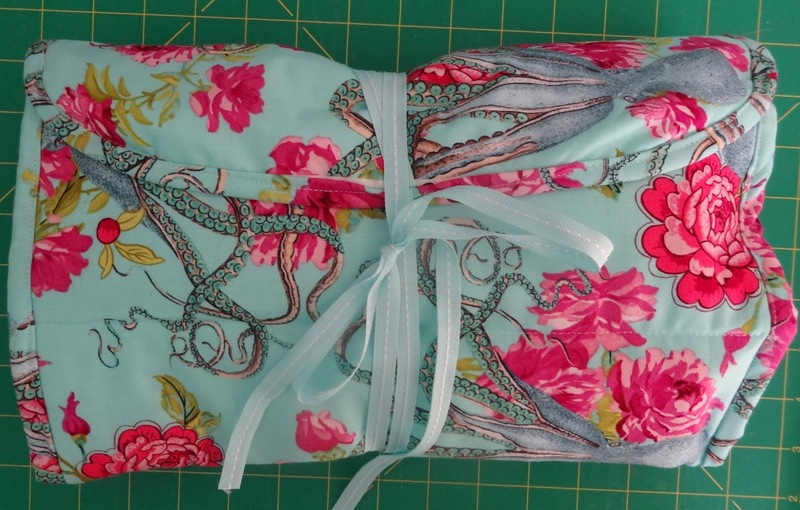 I bet getting "Down the Rabbit Hole" back from teh quilter was like Christmas Day or maybe even better. You nearly have two incredible finishes! 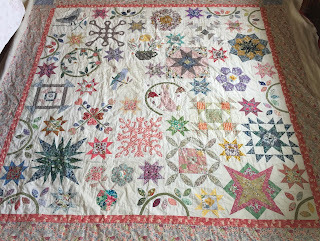 For me, a quilt is really done once it is quilted because I love to sit under it and bind. It's funny you said that. I wander and ponder after finishing something big. Can't wait to see your quilted Down the Rabbit Hole. It depends very much on how many ideas I have swirling in my head. Sometimes I leap joyfully into something else without a backward look, and sometimes I freeze with indecision! 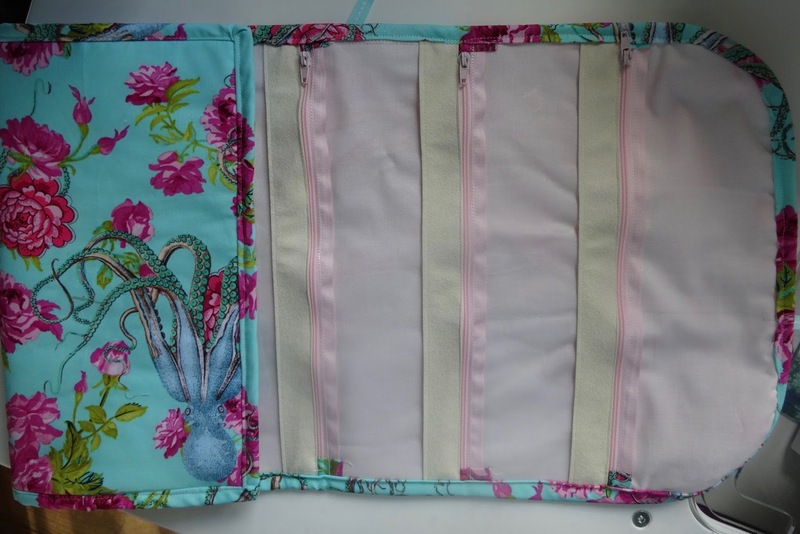 Your sewing pouch is great! I know what you mean after you finish a large project you find yourself betwix and between! I just know that Down the Rabbit Hole will be so beautiful!!!!! When I finish a quilt top, I breath a sigh of relief and then do some ‘no-brainer’ quilting to relax! Then the next thing to do comes to me! You have really done some great work this year! Definitely not just you, Elaine. There's a sense of satisfaction at completion but, yes a sense of loss as that project is no longer available to work on. 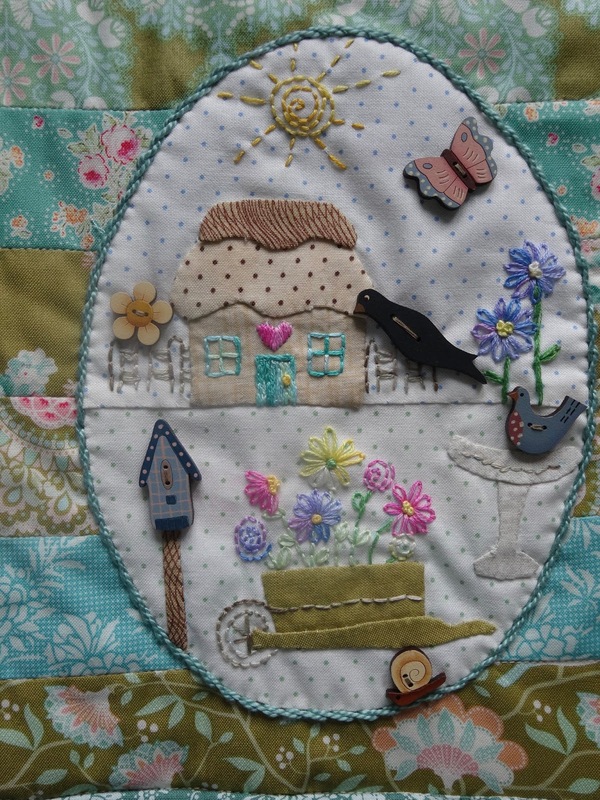 But oh the joy of getting it,back from quilting!! Woohoo! Can't wait to see yours.